Mango Kesari recipe – seasonal sweet. I hope this post is useful for those who are having mangoes in the pantry and looking for the recipe what to prepare for. Yes, it will definitely be the successful attempt. 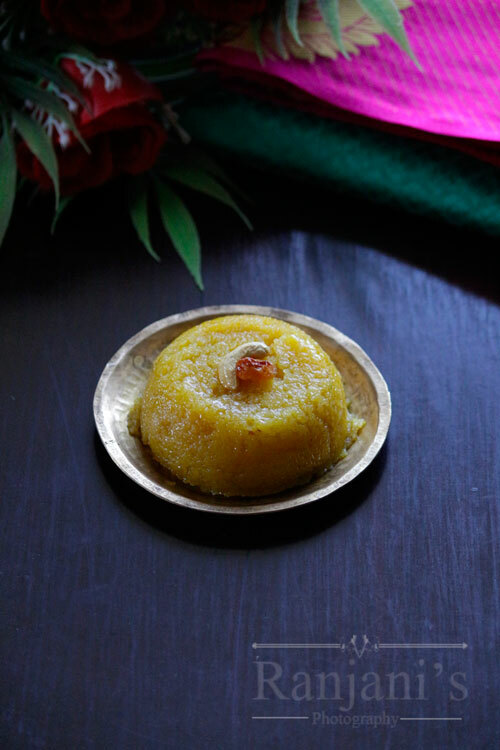 I am sure you can make it easy and delicious on first attempt itself.if you want to serve guests different from usual rava Kesari, go and make a try on this Mango Kesari recipe.undoubtfully it receives bow for your work. Heat a strong bottomed pan, add 1 tbsp ghee and roast cashews and raisins. Drain the ghee and place it on a separate plate. In the same pan, add rava, roast in low flame till nice aroma comes. Place it on another plate. In the pan add water and let it boil. Once it starts boiling, add mango pulp and mix well without any lumps. After it starts boiling, add roasted rava in batches and mix well. Keep the flame low while doing this. Cover with lid and cook for 4 to 6 mins. Now add sugar and salt and mix well. Once the sugar starts melting. The Kesari becomes little thin than before. Keep stirring by adding the remaining ghee little by little. Once the Kesari starts leaving ghee on sides, add cardamom powder, roasted cashews, and raisins. Mix well and turn off the flame. 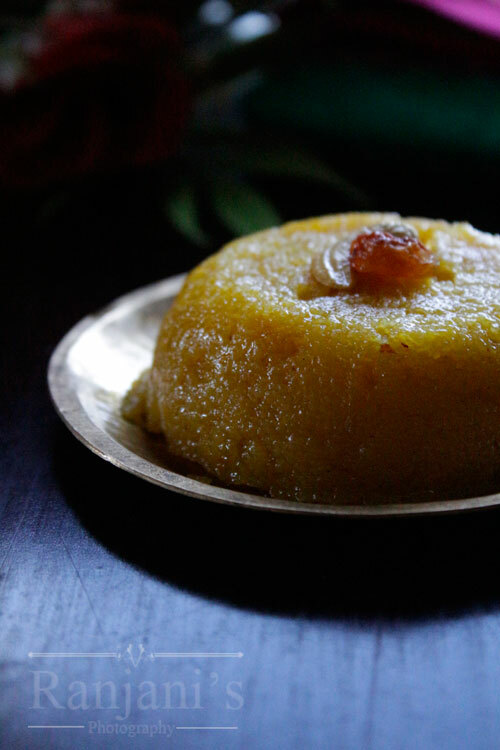 You can use any variety of mango to make this rava Kesari. Adjust the sugar level as of your taste. Adding a pinch of salt enhances the taste of all sweets. So don’t skip it. While serving the Kesari, drizzle some ghee and place mango pulps on top. Awesome recepie !!! i have tried this….. i always try to use organic grocery in my kitchen it will make food even more healthy. https://www.pharmacyonnet.com/27-household visit this portal they have lots of organic and healthy grocery range and healthy snack options. and do let me know this information is useful for u guys or not !! Thank you so much for this wonderful recipe Sharing.